Tony Sagami writes: Alan Greenspan and Ben Bernanke will go down in history as two of the most incompetent Federal Reserve chairmen our country has ever had. Like Mr. Magoo, they blindly drove the stock market and then the real estate market into some of the biggest bubbles our world has ever seen. Now, however, they are dead right about just how bad the situation has gotten. So you should believe every word of warning that is coming out of their mouths. And let me tell you, these are some of the most dire warnings you will ever hear from a central banker. That is on top of the previous $170 billion plan, which gave out approximately $600 per person in a household. 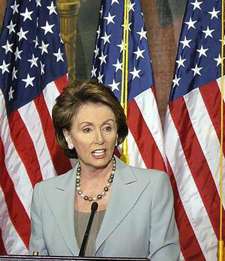 Nancy Pelosi is in favor of yet another stimulus package. And don't forget about the $700 billion bailout … $85 billion rescue of AIG … and $25 billion Chrysler corporate care package, either. South Korea has given out $100 billion. Russia has spent $120 billion. Germany has earmarked $65 billion. And the United Kingdom has pledged $50 billion so far. Those are just some of the governments throwing massive amounts of money at failing institutions. China, however, hasn't spent a dime bailing out its banks. Instead, it is ensuring future economic growth! Chinese banks own a very minor amount of our toxic mortgage bonds. It's not because the Chinese are more brilliant than the rest of the world. It's because the government severely limited how much money Chinese banks and corporations could invest in non-Chinese securities. Because of those policies, China doesn't have to worry as much about its banks. Instead, it can focus on keeping its economy chugging along. China will lower down payments and cut interest rates on mortgages starting next month. Effective November 1, the down payment requirement for those buying their first home will be lowered from 30% to 20%. Potential home buyers will also be able to get mortgage rates that are 70% of the country's key benchmark rate rather than the current 85%. It also eliminated the transaction tax and value-added tax on home sales. That's another step to keep real estate markets moving. And sure enough, Chinese real estate stocks jumped on the news. China Vanke, China's largest real estate developer, gained 4.4%, China Overseas Land jumped 8.1%, and Poly Real Estate Group rose 6.4%. China will refund value-added tax paid by exporters of labor-intensive industries like textiles, clothing, furniture, electronics, plastics, and toys from 13% to 14%. In all, 3,486 types of products — about one-quarter of exports — will be covered. It pledged to increase spending of big bucks infrastructure projects like roads, airports, nuclear power plants and hydro power stations. And remember, unlike our economy, which is quickly sinking into a recession, China is still growing at a pace that makes the rest of the world jealous. 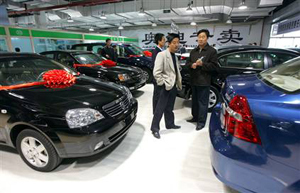 Much of China's growth is coming from domestic demand. The National Bureau of Statistics reported that China's gross domestic product expanded 9.9% in the first nine months of 2008! Much of that economic strength was from strong domestic demand and from Asian neighbors, too. Retail sales in China rose 23.2% in September, and by 22% in the first three quarters of the year. Trade with India has increased by 54.9% so far this year. Yet despite those extremely strong fundamentals, the Chinese stock market has been punished for the credit problems in our country! Fair or not, Chinese stocks are down. While I didn't think that China (and the rest of Asia) could go completely unscathed while the U.S. market tanked, I did believe that its strong economy would limit the damage. Investors all over the globe, however, are simply selling their Asian holdings regardless of the underlying fundamentals. In short, Chinese stocks are being treated like U.S. stocks. So what should you do? If you're a long-term investor and can stomach the volatility, I suggest holding on because Chinese stocks will recover and ultimately move much higher. As I just explained, the Chinese economy remains strong and the Chinese government is taking the right steps to keep things rolling. It may, however, be a very rough ride so be prepared. And if you're more of an active short-term trader, you'll have plenty of opportunity to sell on rallies and buy on dips. For the immediate future, I think that will be the best way to make money in this challenging market.